The Sega Saturn Collection consists of USA Titles across 21 DVDs, Cleaned up and working. Play all your favorites dating back from 1995 to the final titles ever released. The images can be played using "SSF" and "Satourne" Emulators on the computer or burned to a CD and played on the original console using a modchip or swap disc method. 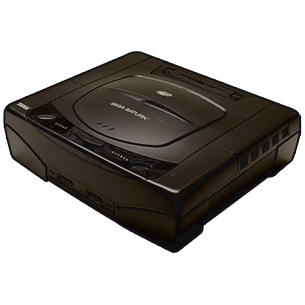 The Sega Saturn is a 32-bit video game console that was first released on November 22, 1994 in Japan, May 11, 1995 in North America, and July 8, 1995 in Europe. The system was discontinued in Europe and Australia in 1998, April 1999 in North America, and in 2000 in Japan. The system was popular in Japan due to its successful marketing such as with the character Segata Sanshiro, while its predecessors, the Mega Drive and the Sega Master System were not popular there. However, the system suffered in North America and Europe due to a poor launch, extensive competition from Sony's PlayStation and the Nintendo 64, difficulty to program by third-parties, and marketing woes. It also suffered in North America from the policies delivered by former Sega of America president Bernie Stolar; such policies stated the condemnation of games such as RPGs, with Stolar's proclaiming that RPGs would not be popular with American consumers (despite the fact that many RPGs were huge successes for both Japan and North America alike), and 2D games as Stolar stated that they could not display the full graphical potential of the Saturn. According to a July 2007 GamePro article, the Saturn had sold 9.5 million units. However in Invisible Engines: How Software Platforms Drive Innovation and Transform Industries (on p. 131) it was stated that the console had sold 17 million units.